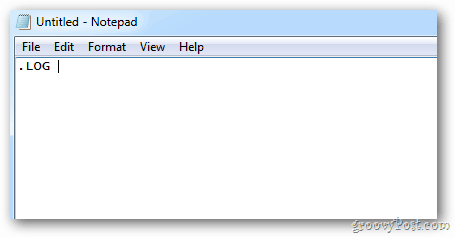 A quick and easy method to keep track of your day is available via Notepad. Here’s a simple trick, tried and true and still great. 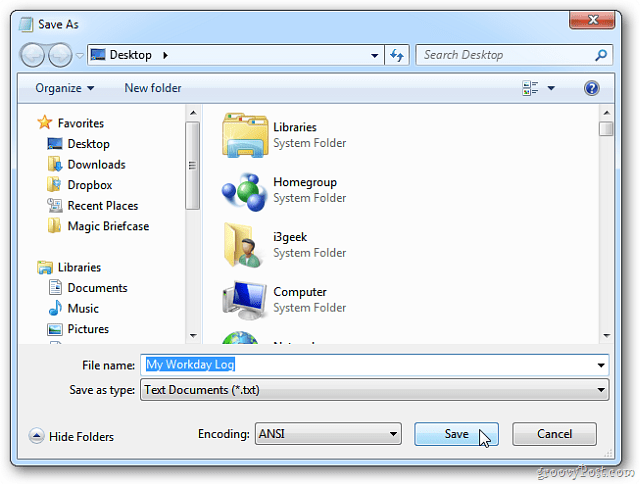 Save your new log file. To do that, click File > Save As — or the key combo Ctrl+S. 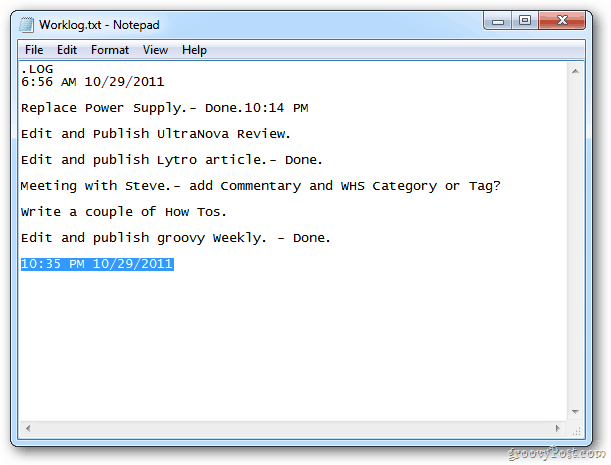 Here I’m creating a log to keep track of my workday. Close out of your Notepad log. Now open the file again. You’ll see the current date and time. The cursor also goes to the next line for your next entry. You can keep your log open during the day, then each time you want to make a new entry – hit the F5 key to put in the current time and date. Here’s another tip. After a while, your logs can get quite large. If you need to find something quickly, hit Ctrl+F on the keyboard. The Find box pops up. Type in your query and click Find Next. Or simply press F3 to find the next entry you’re searching. 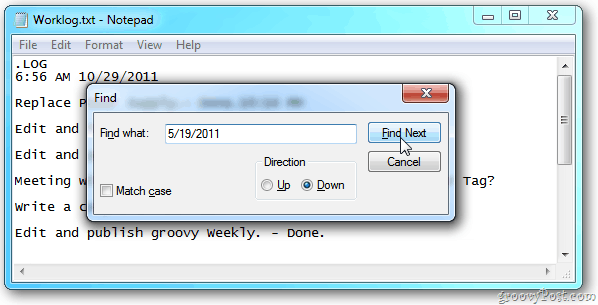 Having a time stamped log helps keep track the day and stay organized. 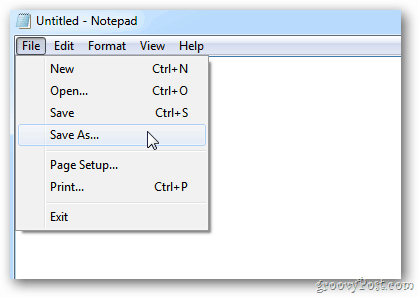 It’s an elegant way to keep notes without having to install additional software. If you don’t need images for your note- unlike Evernote or OneNote no image insert feature is available here — Notepad is the deal. Outstanding!Thanks for the useful tips. Nice, I’ll give it a burl. Thanks Brian! Thanks. Please share any other tips to dress up the good old Notepad.